We have special offers available on tickets for Matilda The Musical. 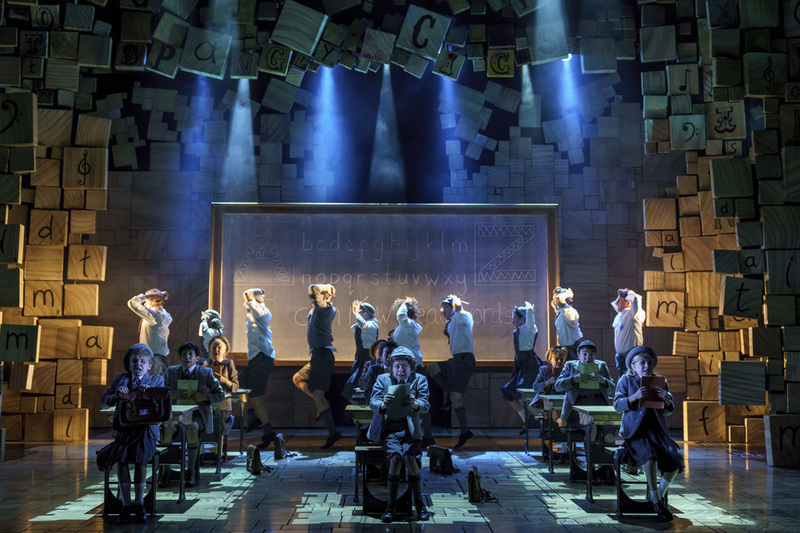 The Royal Shakespeare Company's multiple award-winning musical adaptation of Roald Dahl's celebrated children's book Matilda is a big hit at the Cambridge Theatre in London's West End. Directed by Matthew Warchus and adapted by seasoned playwright Dennis Kelly and the award-winning Australian musical comedian Tim Minchin, Matilda puts its child stars at the heart of the show. Described by WhatsOnStage as "a piece which is by turns riotously funny and gut-wrenchingly poignant", the much praised production - which tells the story of a special little girl with an extraordinary imagination - lives up to expectations and thrills and delights both adults and children alike. Book tickets now to see Matilda The Musical at the Cambridge Theatre London. Back when it first opened in London in 2011 Telegraph theatre critic Charles Spencer gave Matilda five stars, claiming it was "the best British musical since Billy Elliot that will surely be the toast of the West End. I predict that this show will be unstoppable." Plan the perfect year in the capital with our pick of the best events in London 2011. From January to December, every month boasts an impressive line-up of entertainment. So take a look at our guide and be sure not to miss a thing. What are the best dining options near Matilda The Musical London? Matilda The Musical gyms, sporting activities, health & beauty and fitness. The best pubs near London Matilda The Musical. Matilda The Musical clubs, bars, cabaret nights, casinos and interesting nightlife. Where to have your meeting, conference, exhibition, private dining or training course near Matilda The Musical. From cheap budget accommodation to luxury 5 star hotels see our special offers for Cambridge Theatre hotels, including Radisson Blu Edwardian Mercer Street from 87% off.